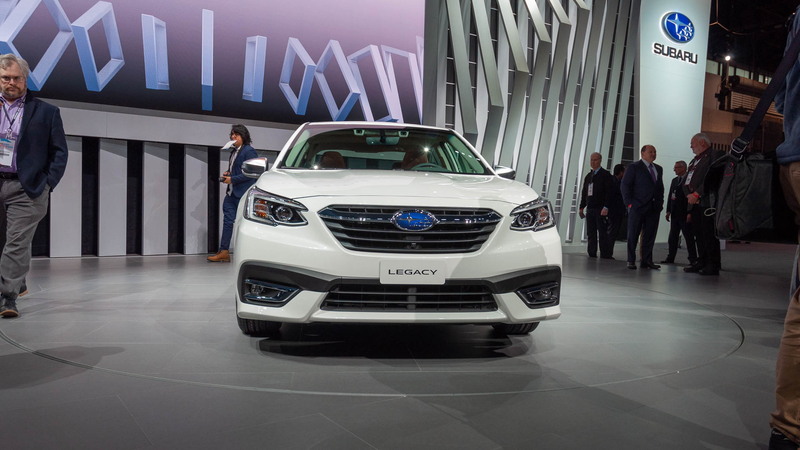 Subaru has now redesigned the Legacy, with the covers having come off the latest model on Thursday at the 2019 Chicago Auto Show. It's due to go on sale in the fall as a 2020 model. We also expect a redesigned Outback around then. 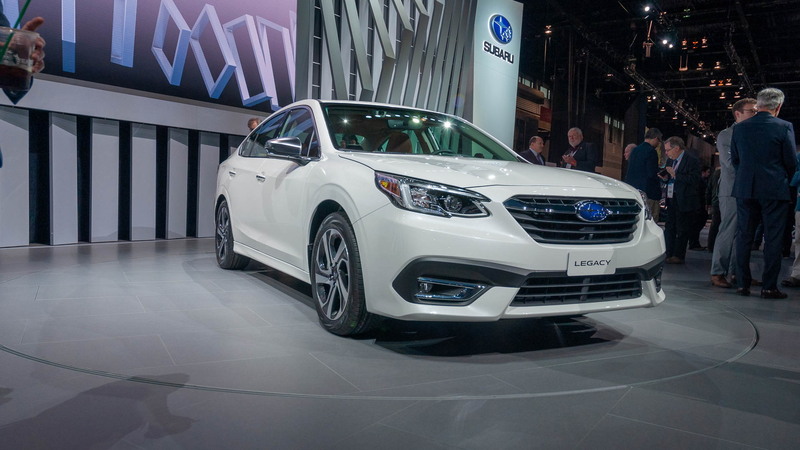 The new generation, the nameplate's seventh, features an evolutionary look, with the design team softening some of the lines compared to the outgoing model. The fenders were also made wider and the roof the truck moved higher, improving the stance. 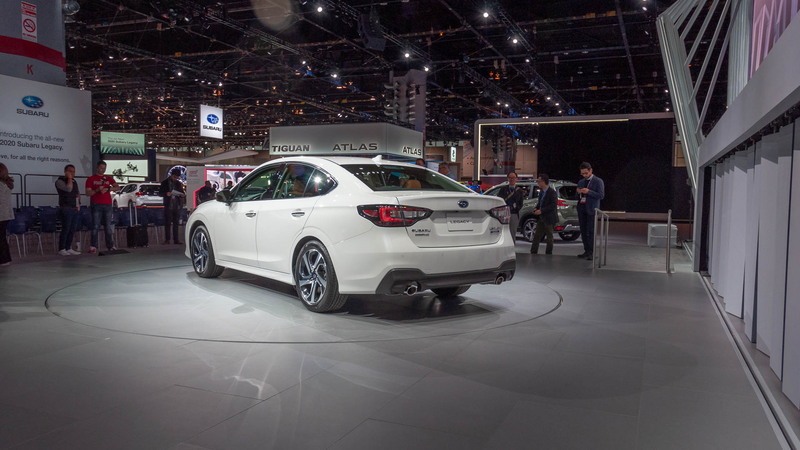 Under the new sheet metal is Subaru's modular platform introduced in the 2017 Impreza. The use of high-tensile steels and innovative construction methods means the structure is stiffer and has better torsional rigidity than in the outgoing model, and is lighter to boot. 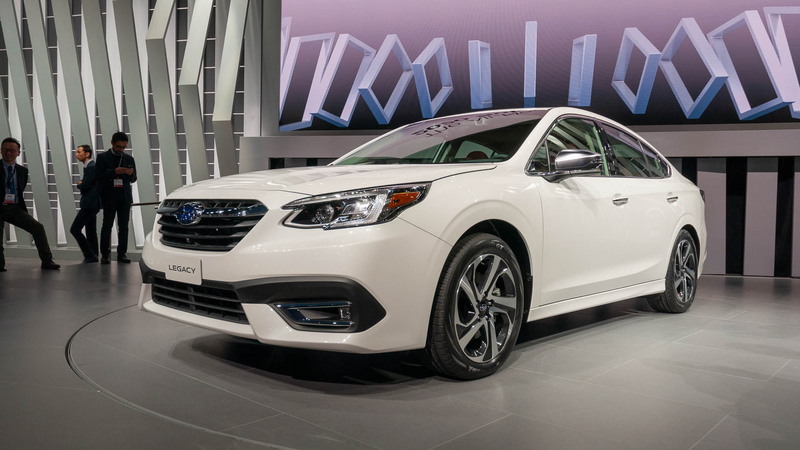 The standard engine is a 2.5-liter flat-4 with 182 horsepower and 176 pound-feet of torque, and a 2.4-liter turbocharged flat-4 with 260 hp and 277 lb-ft is optional. The latter sees the sedan hit 60 mph in a little over 6.0 seconds. Regardless of the powertrain, you're stuck with a continuously variable transmission. Inside, the eye immediately catches the big tablet-like screen in the dash. The 11.6-inch touchscreen features Apple CarPlay and Android Auto compatibility plus available built-in navigation. Some versions include Harman Kardon speakers, too. Note, the base model comes with a 7.0-inch screen. Subaru adds a number of electronic driver aids as standard. 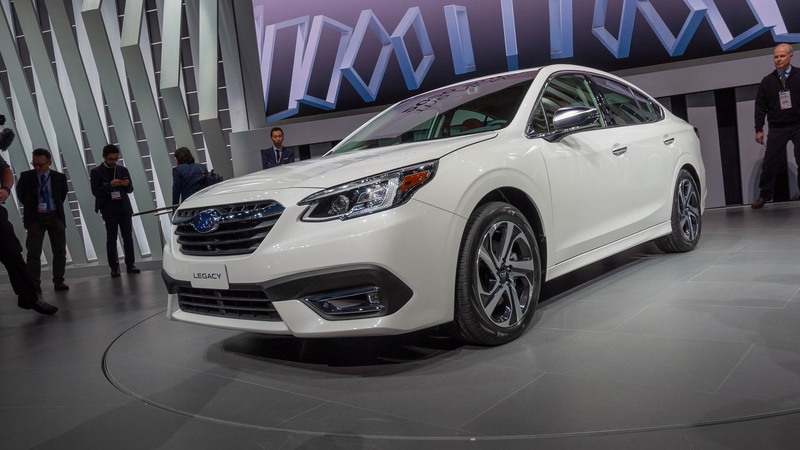 They include automatic emergency braking, adaptive cruise control, and active lane control. On some models, a driver detection system can be added. It can warn of driver fatigue or distraction.